The term Beer Sommelier is so spread, that many important magazines of the sector have recently dealt with this new position. To practice this job it is important to follow an educational training in order to achieve a complete knowledge about beer. Beer sommelier, in fact, has to have great skills about this drink, from the history to the production, from the variety to the composition, from the production process to the tasting. More specifically, the beer sommelier has a wide knowledge about the tasting of the product but also the history of this drink, as a result of the infusion and the fermentation of the cereals. The first proofs about the recipes to produce beer dates back to the 4000 BC. The Sumer of Mesopotamia had been the first to produce this alcoholic drink called beer, even if its organoleptic properties were different than the today’s beer. From Mesopotamia, the production continues in Egypt, and then to the Greeks and Romans. But it is in the Medieval period in the monasteries, that the monks developed the production of beer, writing down precise details of each shade. To describe a beer it is not that simple: clearness, colour, perfume and taste are the main characteristics that a beer sommelier has to evaluate during the tasting. 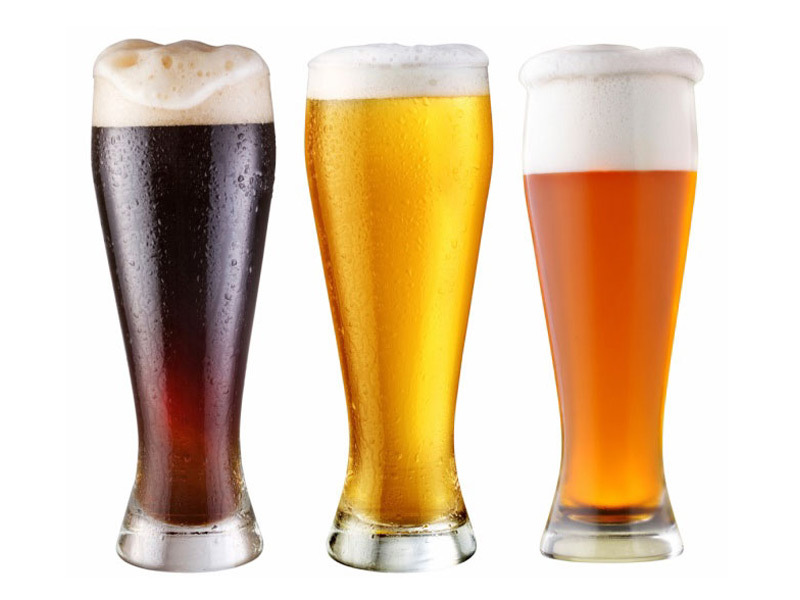 The best glass to taste beer is the stem and the serving temperature is around 12 – 14°C. The visual analysis consists in examine the clearness, transparency, colour, effervescence and foam of the beer. To know further more about how to do a sensorial analysis of beer, you can consult the article dedicated to this process written by our cervoisier, an expert of the world of craft beer. White with beige shades in the dark beers, thick, abundant, creamy and persistent the foam of a high quality beer have to leave on the side of the glass a kind of rings that correspond to the volume of the sips, but also to the cleanness of the glass. A beer can produce the perfect foam in one tapping and not in another one; this means that the glass is not clean enough! Despite this, the foam has not only an aesthetical value as it release also some aromas, moreover it protects the beer from oxidation, playing the role of a “filter”. The colour of the beer can vary from light straw yellow to dark brown, according to the type of malt that the brew master has used; in fact malt give origin to clear or dark beer. Tuttavia la schiuma non ha solo un valore estetico in quanto libera anche alcuni aromi, inoltre protegge la birra da ossidazione e funge da “filtro”. After having poured the beer, the beer sommelier will analyse the liquid to catch all the aromas, connected to essential oils of the hop. Then, when the foam disappears, the beer sommelier rotates the glass to catch all the different olfactory shades. In this phase of the tasting, the beer sommelier examines the olfactory intensity, that like in wine, the olfactory complexity plays an important role also for beer. Now, the beer sommelier should taste the beer with small sips, in order to evaluate the structure, the roundness, the effervescence and the whole balance, paying attention to the possible lacks. For instance, the smoked taste is a flaw of Lager beer. The high level of the beer sommelier is explained in specific suggestions, fighting against the tendency of the client of drinking beers always with the same taste and to give the right information about the right tasting. Beer Sommelier is called to sensitize people about the richness of the beer and its different shades. How to choose a wine!